APL Apollo Tubes Ltd. (Formerly, Bihar Tubes) is manufacturer of hollow section steel tubes and pre-galvanized steel tubes. The company is the largest in the ERW (Electric Resistance Welded) segment. It was incorporated in 1986 and has it's registered office in New Delhi. Mr Sanjay Gupta serves as the Chairman of the company and Mr Ashok K Gupta serves as the Managing Director of the company. The company has a total of 7 manufacturing plants, including those at - Sikandrabad (Uttar Pradesh), Hosur (Tamil Nadu), Raipur (Chhattisgarh), Bengaluru (Karnataka) and in Murbad (Maharashtra). The Steel industry in India contributes ~ 2% of the GDP and employs close to 6 Lakh people. The per capita steel consumption in India has increased from 51 KG in FY10 to 64 KG in FY17, the projection from the ministry of steel is that this figure will grow to 160 KG by 2030, thus translating to a CAGR of 7.3% . India produces 125MT of steel every year (2017) and this figure is expected to rise to 150MT by 2020 and 300MT by 2030. 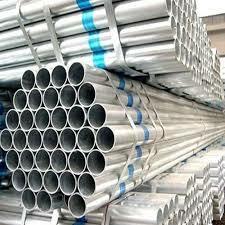 The steel pipes industry is categorized into 3 major segments: Ductile Iron, Seamless and Welded. The Welded category is further categorized into Submerged Arc Welded and Electric Resistance Welded. The ERW segment has APL Apollo, DP Jindal, Tata Steel and Surya Roshni as the major players. The ERW segment is dependent on construction, urbanization, automobiles, manufacture of consumer goods and other spending sectors. 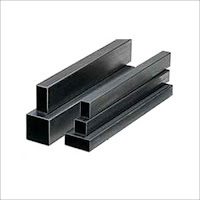 The company's products include: Hollow Sections, GI Pipes, Pre-Galvanized Tubes and MS Black. The company entered into door and window frames and railings in FY14. Through it's products, the company caters to Construction & Infra, Energy, Agriculture, etc. 48% of the revenues came from Hollow Sections and 23% came from pre-galvanized tubes. The balance came from Galvanized and Black round pipes. The margins are higher in pre-galvanized pipes (~ 12%) and lowest in balck round (~ 4%). The company is estimated to have a market share of 14% to 15% in the ERW segment, ahead of DP Jindal Group (7%), Tata Steel (6%) and Surya Roshni (6%). As of April, 2018 the company has an installed capacity of 2 million tonnes per annum. In 2012 the installed capacity was 500,000 MTPA. In between 2007 and 2017, the company has increased it's capacity from 80,000 MTPA to 2,000,000 MTPA. The capacity utilization has ranged between 58% to 74% as per past data. The company's revenues have grown at a 3 year CAGR of 21.44% and a 5 year CAGR of 26.6% respectively. The margins have been improving since 2014 but the company operates in a relatively low margin business prone to lot of volatility and fluctuations in steel prices. Hot rolled coil (HR Coil) is the primary raw material for the company. Raw Material prices make up roughly 84% of the revenues for APL Apollo. In this period, the company has been on an aggressive capacity addition and they have managed to maintain a capacity utilization that is above the industry average utilization levels. The company has been fairly successful in converting it's profits to cash over the years, however it has leveraged to add capacity aggressively. The business is still largely commoditized with low margins and frequent volatility in raw material prices. 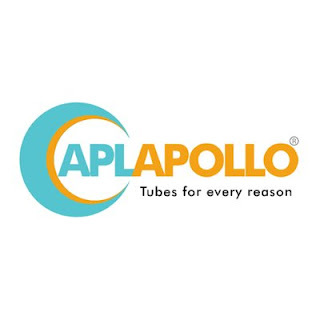 While APL Apollo is able to pass on increase in HR coil prices to end users, it usually takes them a considerable amount of time to increase prices of their products. The company is one of the major HR Coil consumers in India. APL Apollo management claims to be working towards a better brand building which will help them shift to a branded business from a commoditized business which in turn will help maintain margins despite frequent fluctuations in raw material prices. It is baffling that the Promoters are consistently reducing their stake in the company. The promoter holding was anyways low but a consistent sale in stake by the promoters despite heavy investments by the management in capacity addition is a red flag. While the company is able to convert it's profits to cash, the management is still relying on debt to fund expansion. The total debt in the books has gone up from Rs 310 Crores in 2012 to Rs 596 Crores in 2017. So will you invest in APL Apollo Tubes Ltd? Our research and advisory services might help you take a better decision!